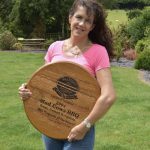 I have a proven track record of working with a large variety of successful restaurants, caterers and pubs, both from complete start-up phase and opening to menu creation and training. Below are just some of the services I am able to offer. If you want to discuss your requirements further please contact me. Kitchen equipment, including specification and supplier. Kitchen layout and set-up, to include provision of production flow pattern to ensure maximum efficiency. Menu creation and review including creation of menu items that can utilise leftover product to reduce wastage. Creation of a ‘Process Book’ so that consistent flavour profiles and results are always achieved. This will also help any new members of staff to be brought up to speed quickly. Best practices for storing, holding and reuse of unsold product. Fine-tune processes, checks and records during first week of operation to include provision of feedback and review at the end of each day. Ingredients to be held, quantities to be purchased, suppliers, etc. Kitchen staff, calculation of numbers, skill level and experience. Staff training within kitchen and external training. Finalised operating processes, menu and any future staff training requirements. On-going checks and inspections to ensure that consistency of product is maintained, if required. I understand that every Restaurant is different, and we tailor every aspect of our service to fit in with your ideas and practices. I work closely with many professional suppliers of equipment and foods. Whether you want to add BBQ to your existing menu or create a completely new menu, I can work with you to produce your own unique flavour profile From ingredient planning and costing, to creation of recipes, testing and serving suggestions, we will work with you to ensure optimum profit. I can also provide BBQ training for your staff.